Blessing is simply My Nature, My State, My Intrinsic Condition of Self-Radiance. 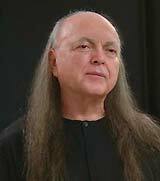 The stories that appear here testify to the profound Gifts of Instruction and Blessing that Avatar Adi Da has showered on devotees during the course of their relationship with Him. And, in some sense, the Gift of Avatar Adi Da to all is simply the opportunity for Communion with His Prior, Non-Separate State of Love-Bliss, which answers all questions and heals all hearts.